Your content is the voice of your brand and the conduit between you and your audience. Whether you're a blog owner looking to build readership, a marketing manager trying to sell a product, or a CEO building a personal brand, great content is key. Unfortunately, not everyone is a great writer, and sometimes people need a little help. That's where I come in. I'm a professional writer with years of experience and hundreds of thousands of words under my belt in all formats - from print magazines to books, to blogs, and more. I've got the experience and the trained eye necessary to help you take your existing content from good (or worse) to great. If you've got an article, report, or book that you think needs a helping hand, I'd love to work with you. We'll discuss your goals for the content, be it polishing up spelling and grammar, changing the voice, or just trimming for length. Once we've locked down what you're looking for, I'll get to work. The piece I'll return to you will have the professional finish of content written by a pro, and the end result will be a better experience for your readers. 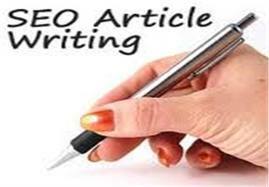 Do Your Professionally Rewrite Or Edit Your Content is ranked 5 out of 5. Based on 4 user reviews.